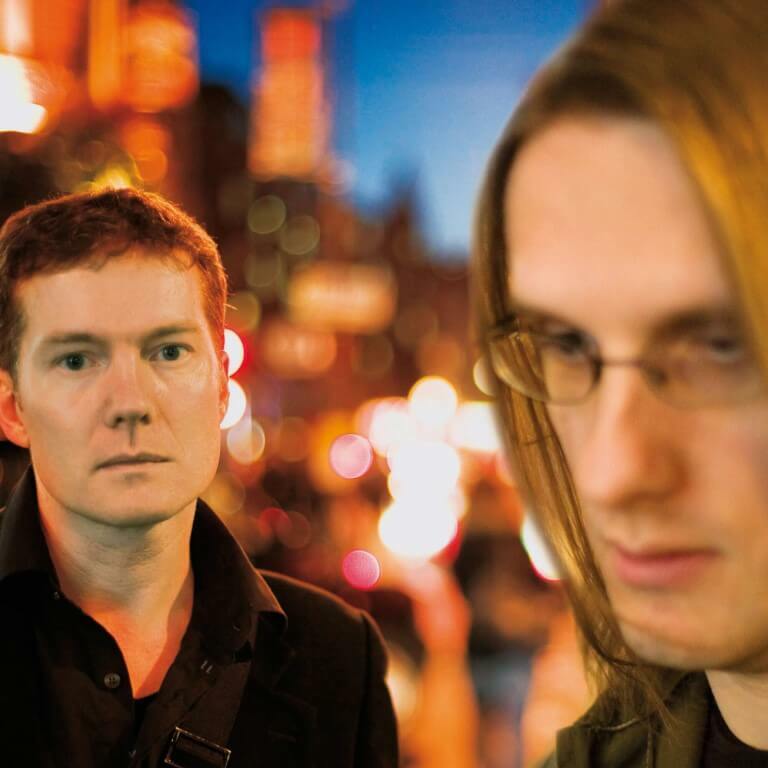 Formed in 1987, no-man is a British band comprising Tim Bowness and Steven Wilson. The name no-man was adopted in 1990 and first used on the self-released single, Colours (a Melody Maker, Sounds and Channel Four Planet Sound Single Of The Week). Signed to labels including Kscope, One Little Indian and Sony, the band has so far produced six studio albums, a documentary dvd and a number of singles and compilations. no-man has subsequently embraced post rock, art rock and classical minimalist influences as its sound has become more organic and band-oriented. Guest contributors to the band’s music have included King Crimson’s Robert Fripp and Pat Mastelotto, Porcupine Tree’s Colin Edwin and Gavin Harrison, Jazz luminaries Theo Travis and Ian Carr, Electronic artists Scanner and Faultline, Bruce Kaphan (American Music Club) and Dave Stewart (Egg/Hatfield & The North). Ex Japan/Rain Tree Crow alumni Jansen, Barbieri & Karn toured and recorded with the band in the early 1990s. no-man’s most recent studio album, 2008’s Schoolyard Ghosts, has been its best-selling to date and has received some of the most favourable reviews of the band’s career (being described by Classic Rock magazine as “truly sublime”). love and endings (2012) is the band’s first officially released live album.